Now might be a good time to buy that IKEA lamp. The Swedish furniture maker is stepping up its effort to help refugees. 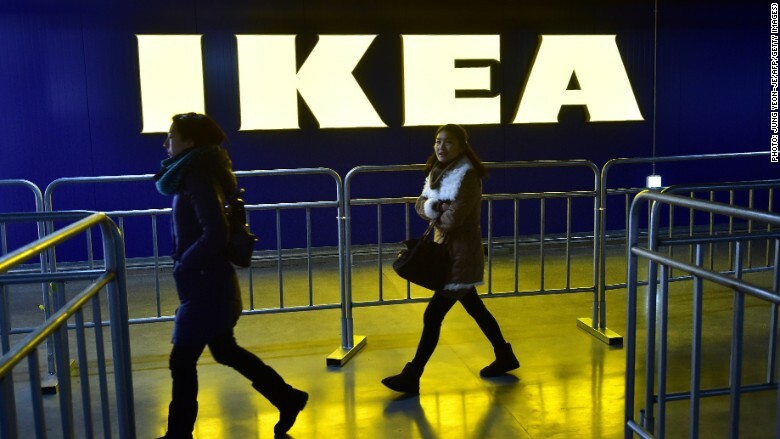 IKEA said it will donate 1 euro ($1.06) to the UNHCR, the UN Refugee Agency, for every LED product sold. The money will go toward providing light and energy from renewable resources to families living in refugee camps. IKEA is already the UNHCR's largest corporate partner. It has donated over $166 million since 2010, the refugee agency said. Earlier this year, IKEA designed a flat-pack family shelter for refugee families. It has supplied thousands of them to UNHCR's camps in Greece, Chad and Iraq, among others. The "Brighter Lives for Refugees" campaign will run for three weeks in over 40 countries. Last year, the same campaign raised $11.6 million. Europe is struggling to cope with the biggest refugee crisis since World War II. Over 850,000 people crossed the Mediterranean in order to escape violence, persecution and poverty. Many big businesses have donated millions to help rescue operations. Google (GOOG), Goldman Sachs (GS), Volkswagen, Zara, Ericsson, Volvo, H&M and Brown Forman all donated to the UNHCR or other organizations.